In our family, Santa usually leaves one of the gifts under our tree for the entire family. It may be a game, tickets, a computer, or something else the entire family can enjoy. While thinking of family gifts this year, I thought of something that every homeschool family will use at one point, but could be used at anytime and by the whole family — a microscope!! A microscope is a perfect gift for the homeschool family! Why? There are many places to purchase a microscope. The internet is full of options. How do you know what the right option is? I have some advice for choosing the right homeschool microscope. I, also, have some advice on where to get that microscope. MicroscopeCentral.com has been selling and servicing microscopes for over 76 years. They sell thousands of microscopes to middle schools , high schools, and universities each year. The experience of this family owned company makes them the right people to recommend the correct microscope for any educational purpose. When you contact Microscope Central, they know which microscopes will last, which will be supported, and which microscopes you can get parts for in the future. The internet is very deceiving when it comes to buying a microscope. They all look good in an image, however some are all plastic and not full size. Many no name sites have zero quality control. They import the microscope from China, and then it goes right out their door. The companies Microscope Central represent have quality control standards and stand behind their microscopes. These companies keep parts in stock for years to come. For example, if you need a knob or objective replaced on a microscope purchased from Microscope Central, you could get it. If you buy a no name microscope and need a part replaced you will have to buy a whole new microscope. What Microscope Should I Buy? Like I said before, the internet can be deceiving when it comes to buying a microscope. It’s hard to tell quality from a picture. Buying an inferior microscope that does not perform correctly, is not only frustrating to the one spending good money, it could lead to frustration to the student and lack of interest. Choosing the correct microscope is very important. So how do we make the right choice? I asked our friends at Microscope Central to recommend a quality microscope for homeschooling families that won’t break the bank. Their instant response was the Accu-Scope 3088 LED. It is their most popular microscope for homeschooling. The Accu-Scope 3088 LED has a lot of features most microscopes higher in price do not have, and is still a high quality scope. This is a microscope that will last for years and is one students can grow with. This microscope comes with a complete 5 year electrical & mechanical warranty. Many companies say a “limited lifetime warranty” which is unclear and deceiving. These companies often have no control over the factory that produces the scopes and do not stock parts should you need them. Accu-Scope has been providing quality microscopes and standing behind them for over 60 years. Are you looking for a microscope for your family? Will you be needing one in the future? Why not for this Christmas? When you order your new microscope, you are going to need some slides. Enter the code HSFREE in the comment box at checkout at MicroscopeCentral.com and receive a free set of slides! 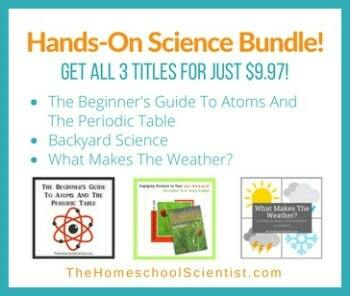 For more STEM gift ideas…..